You can pay your order by credit card (Visa, Visa Electron, MasterCard, Maestro, American Express, JCB). 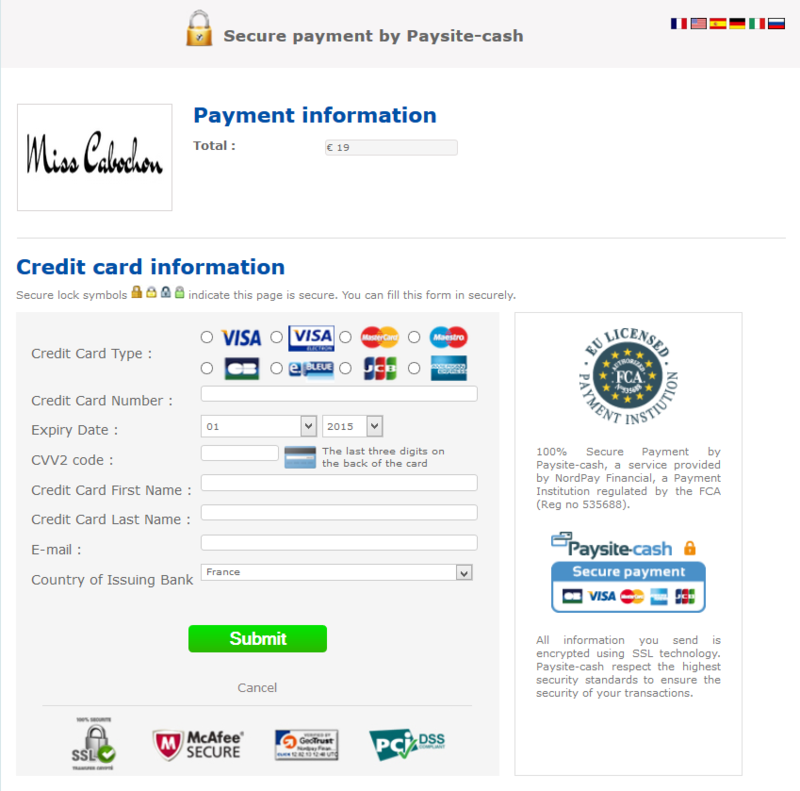 You will be redirected to ComnPay's pages. I never have access to your paiement informations. You can pay by bank transfer. We only accept transfers in euros from European Community's countries. I will provide you all information needed after your order.